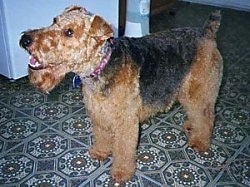 The Welsh Terrier looks like a small version of the Airedale Terrier. The head is rectangular in appearance. The muzzle is half the length of the head with a slight stop. Teeth meet in a scissors or level bite. The small, almond-shaped eyes are set fairly wide apart and are dark brown in color. The V-shaped ears fold slightly to the side of the head and forward. The front legs are straight and the round; small feet are cat-like. The back is level, forming a straight line. Dewclaws may be removed. The tail is customarily docked so that when the dog raises the tail into the air it is even with the top of the head, giving the dog a square appearance. Note: docking tails is illegal in most parts of Europe. The coat is double with a soft undercoat and a wiry, hard, dense outer coat with bushy eyebrows, mustache and beard. Colors include black and tan and grizzle with a black jacket marking over the back. Puppies are born all black and as their coats lighten the jacket marking remains black. 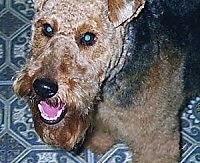 The Welsh Terrier is a vigilant, active, cheerful dog that is affectionate and intelligent. Loving, devoted, playful and happy, it is usually patient with children and can withstand rough play. Curious, courageous, hardy, energetic and peppy, it is best suited to an active family. Welsh Terriers need plenty of exercise along with leadership, clearly knowing the rules of the home and what is expected of them. This structure is what makes a dog happy and well balanced. When a dog is lacking in this it can become timid and unsure. They can also possibly become dog-aggressive and stubborn as they make up their own rules. 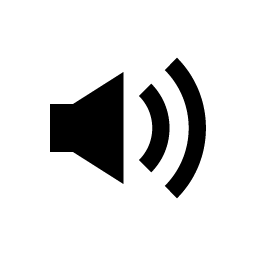 They will not listen if they sense that they are stronger minded than their owner, however they will also not respond well to harsh discipline. Owners need to be calm, yet possess an air of natural authority. Socialize this breed well with people, places, dogs and other animals. 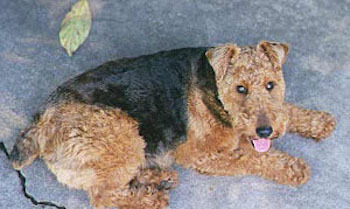 The Welsh Terrier has a slightly lower energy level than some of the other hunting terrier breeds. It likes to swim and dig. Some can be difficult to housebreak. The Welsh Terrier is bright enough to understand quickly what you want of it, but if you are not a calm, assertive leader, it can be sly enough to try to divert you from your intentions. Give these dogs constant variety in their training and remain consistent toward them. Remember to always be your dog’s pack leader. Some lines are prone to eye problems and skin irritations. Welsh Terriers will do okay in an apartment if they are sufficiently exercised. They are very active indoors and a small yard is sufficient. The Welsh Terrier is untiring. It needs to be taken for a daily walk or jog. It is always ready to play with a ball and to run and gambol off the leash in the open countryside. The Welsh Terrier likes to chase after anything that moves. Take caution when letting these dogs off their lead. The Welsh Terrier needs to have its coat plucked two, three or more times a year, depending upon the condition of the coat. It also requires grooming with a brush and comb a number of times each week. The dogs that are to be shown will require even greater levels of attention to their grooming. 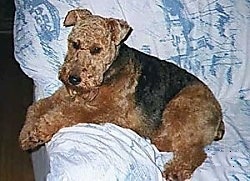 The longer hair at the feet, on the belly and around the face gives the Welsh Terrier its typical appearance. This breed sheds little to no hair. The Welsh Terrier was originally called the Black-and-Tan Wire Haired Terrier, Old English Terrier and at one point called the Old Reddish-Black Wirehaired Terrier. Developed in Wales, it was bred for its hunting abilities, particularly with badger, fox and otter. The dogs would go down into the dens to drive out the prey for the hunter and would commonly be taken out with packs of hounds. The breed was first shown in England in 1884. Prescott Lawrence first brought the breed to America in 1888. Some of the Welsh Terrier's talents include: hunting, tracking, watchdog, agility and performing tricks. 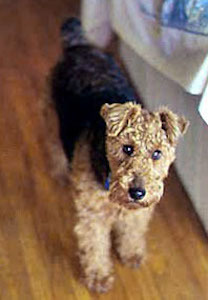 Murphy the Welsh Terrier at 3 years old—"He's a handful, but we wouldn't give him up for the world."